SMTi JRT Adapter is a JTAG I/O-JTAG DCC adapter allowing you to repair damaged firmware for devices based on Qualcomm, ARM9, ARM11, Xscale, PXA, and OMAP processors. 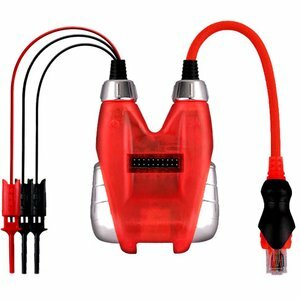 The JRT adapter additionally provides the Check Bad Sectors and Calculate Space options enabling new Boot Loader installation and full repair of damaged memory sectors. To use the adapter JTAG Repair Tool is required. It is also necessary for your box to be activated for the JTAG JRT Repair Tool, which requires 50 credits on your account. After activation (Internet connection is required) repair of phones is free.